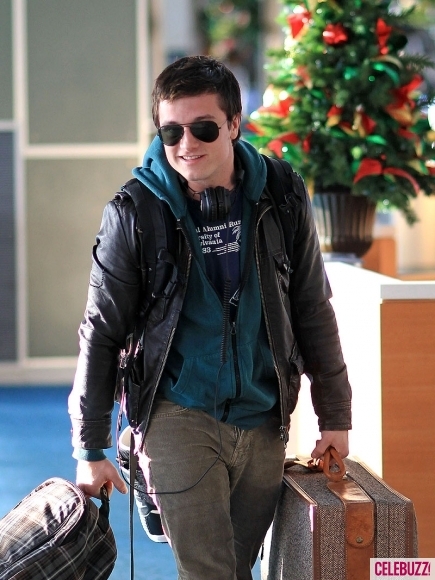 Josh syntes igår till på Vanvouver's internationella flygplats med skådespelerskan Zoey Deutch. De har spenderat fem dagar i Whistler i Kanada och flög igår tillbaka till Los Angeles. 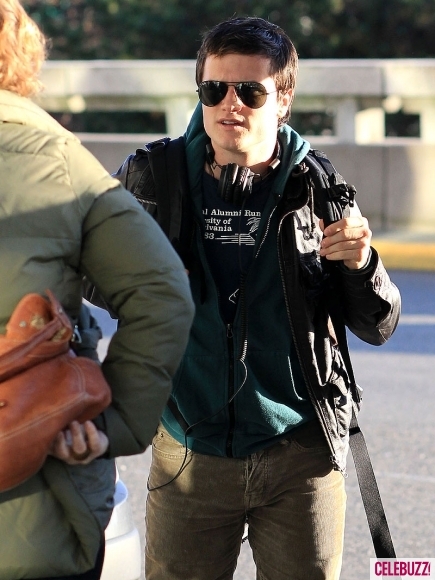 With "The Hunger Games" slowly getting closer and closer to its March 23 release, Josh Hutcherson better get all of the rest and relaxation he can before the film’s big push starts - and that’s exactly what he seemed to be doing over the past few days. 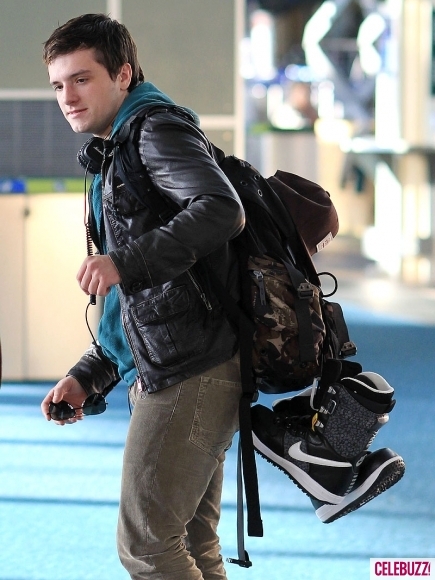 "The Hunger Games" star was spotted making his way through Vancouver International Airport on Thursday, and despite being one of 2012's breakout stars for sure, Josh was seen lugging his own bags through the terminal like any one of us would. 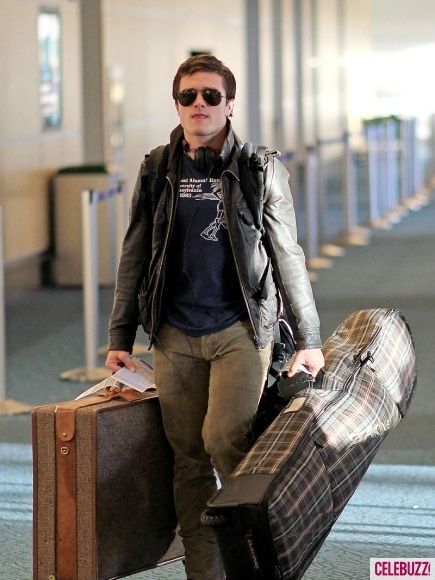 With a pair of aviator sunglasses and a leather jacket covering up his t-shirt, Josh looked like he was ready to head home to the warm weather of Los Angeles for a bit of motorcycle time (Fun fact: He loves to ride). varför var han med zoey?? 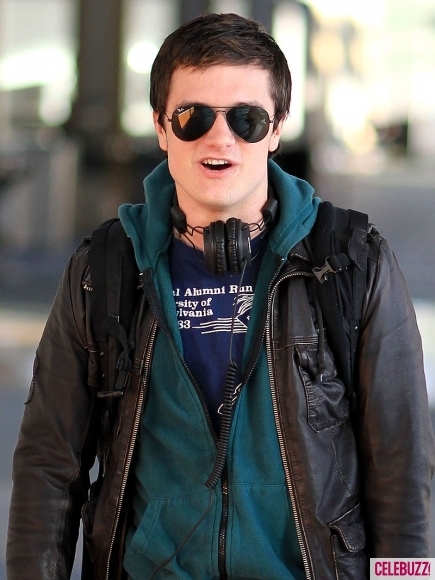 är de kompisar, dejtar de eller gör de en film tillsammans?